Throughout the year, different months are set aside to honor the accomplishments of individuals from various cultures. February celebrates Black History Month, March brings National Women’s History Month, September celebrates Hispanic Heritage Month, and the cultural list goes on! 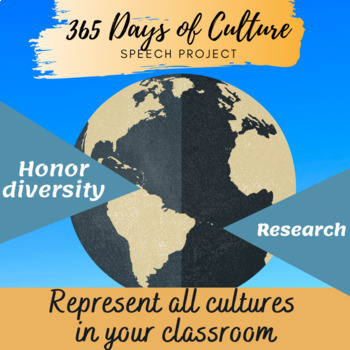 The purpose of this project is to allow students to create a project which celebrates some of the best individuals from diverse backgrounds. Students will research an individual of their choice and compose a speech in which they argue why this individual should be remembered. 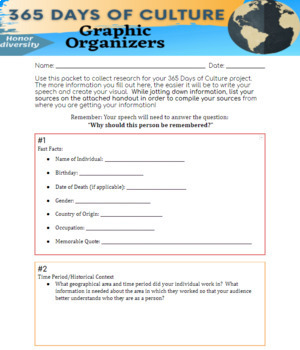 Students will also create a visual poster of their individual.